California school districts will receive additional funds based on number of enrolled foster students for the first time. Dropping out of high school isn’t necessarily the end of the line, but might be a “stop out” along the path to a diploma. Analysis of California Smarter Balanced test scores highlights large equity gaps between foster youth and their peers. New Arizona law is a step in improving the lives of many students in foster care. WestEd study cited in article. 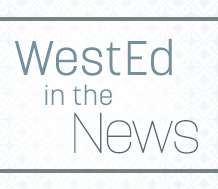 WestEd resource mentioned in article on identifying and tracking students in foster care for additional district funding.